Destin Travel Deals: Destin Pontoon Rentals - End Of Summer Discounts $50-$100 OFF! Destin Pontoon Rentals - End Of Summer Discounts $50-$100 OFF! Take a trip to Crab Island, cruise the East Pass, or just admire the crystal clear waters of the Emerald Coast. Whatever you decide to do with your pontoon rental, it's sure to bring some excitement. 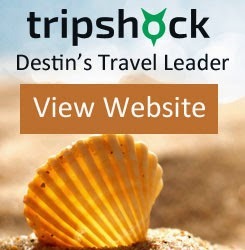 Book your Destin pontoon rentals on TripShock today and save up to $100! Starting August 11th, save $50 on a 4 hour or 8 hour rental (Rates from $200).